At first, the market reacted positively to the G-20 meeting between President Trump and President Xi. Although a deal wasn’t achieved and little progressed was made towards one, at least the tariffs on Chinese goods won’t be raised for 90 days (the tariff rate was originally expected to go from 10% to 25% on January 1st). However, market sentiment quickly changed following recent developments involving the CFO of the Chinese firm Huawei. 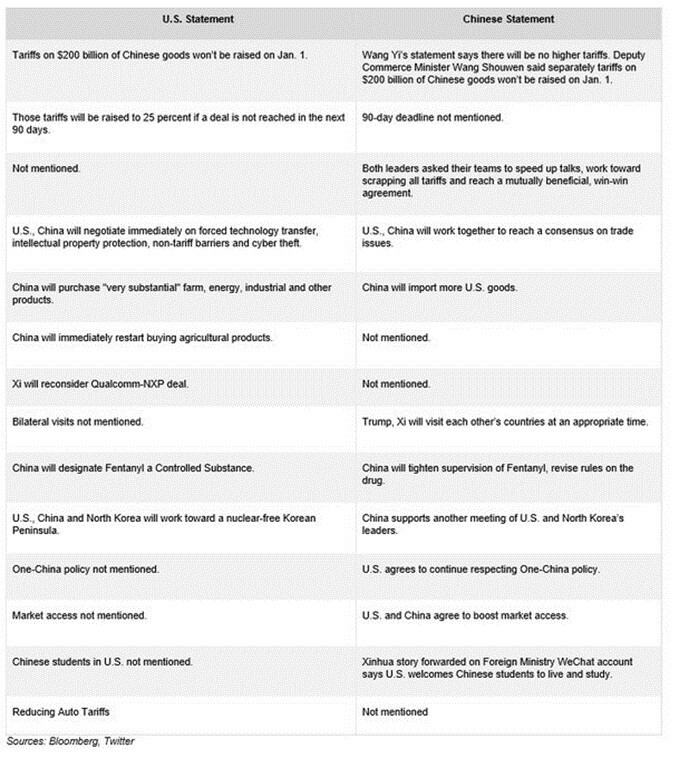 America’s statement mentioned a 90 day deadline and China reducing auto tariffs, while the Chinese statement mentioned neither. China mentioned bilateral visits and America recognizing the one-China policy, while America’s statement mentioned neither. Both sides mentioned parts they will benefit from. When making a deal, it’s best to have both parties on the same page. Investors are confused who to believe and don’t know if a deal is likely in 90 days. The Fed’s 2019 rate hikes are now in doubt after the volatility in stocks and the flattening of the yield curve. The Fed is still expected to hike rates in December as the Fed fund futures see a 74.9% chance of that. 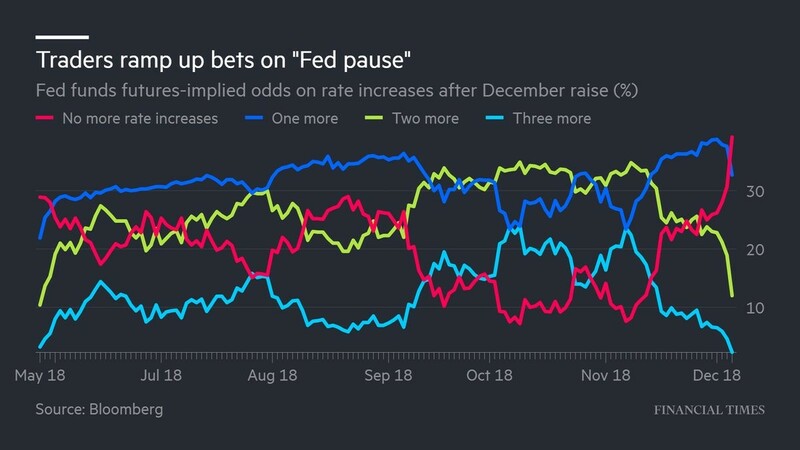 However, the market now doesn’t expect the Fed to hike rates at all in 2019 even though the Fed has guidance for 3 hikes. If the Fed keeps hiking rates in 2019, it will invert the curve as there is only a 14 basis point difference between the 10 year yield and the 2 year yield. In the past 2 cycles, the Fed has finished off its rate hikes after the difference between the 5 year yield and 2 year yield inverted. The Fed wants to hike rates because the labor market is strong and nominal wage growth has accelerated this year. That could be a mistake because wage growth isn’t causing inflation to increase as core PCE is only 1.8%. Real wage growth is finally about to occur at near full employment, and the Fed is trying to pursue a policy that will cause a recession.